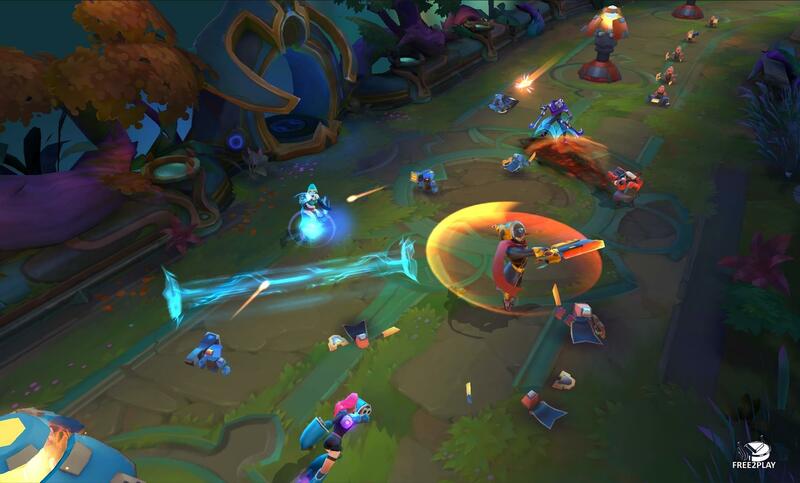 An isometric-top down mobile platform free to play multiplayer online battle arena (MOBA) where players duke it out in team based 3v3 matches across a single lane battlefield, pushing minions, destroying towers and battling as a variety of characters. Planet of Heroes is designed for mobile devices and the game is accessible on iOS or Android platforms, it is ideal for smaller game sessions with its quick match times. This MMO plays like a typical MOBA game with players controlling a single character in a 3 on 3 PVP battle against players from all around the world, fighting as a team to destroy the enemies base structure and win the game. 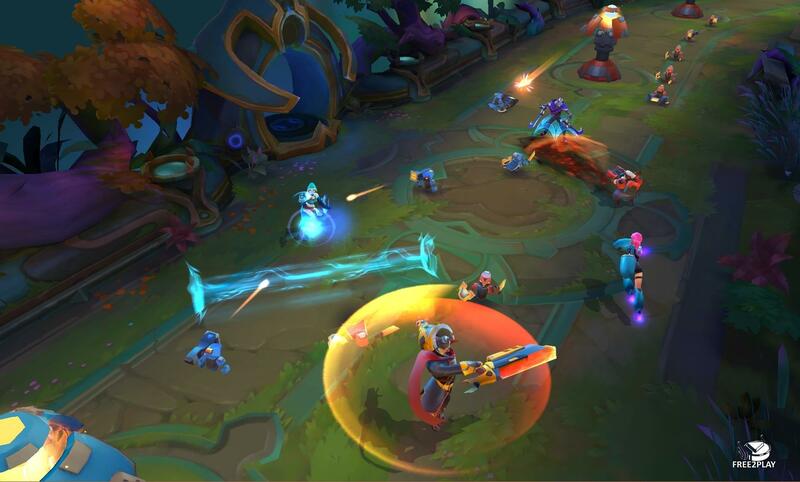 The game has been geared towards shorter match times, around seven minutes, to allow for quicker sessions ideal for mobile users that cannot be caught up in a 30+ minute game like most MOBA offer. The game has been designed solely for mobile and so the controls have also been designed to suit. 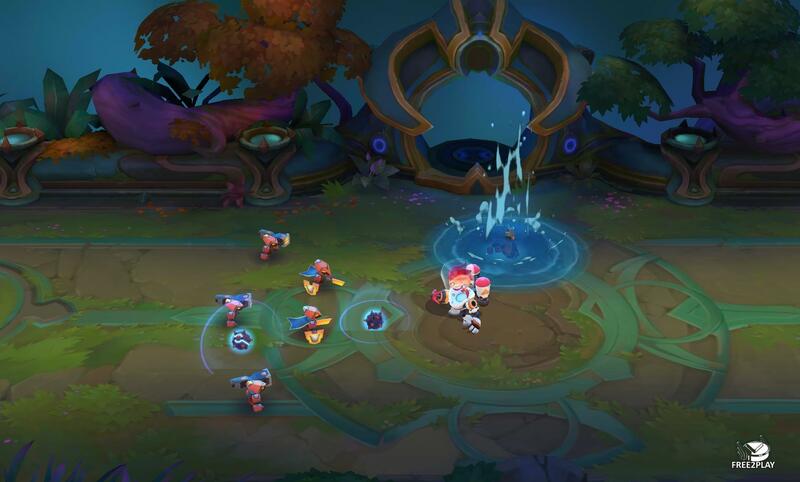 The map layout offers a single lane with two turrets per team and a final team structure in the lane, mechanics work similarly to other MOBA where enemy AI minions constantly spawn at each end of the map and walk down the lane and are used to take turret shots so that players can destroy them unhindered. 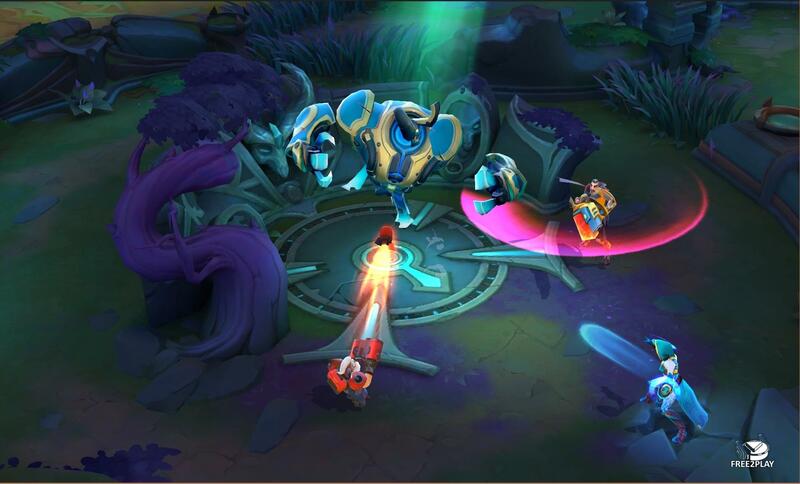 As both players are trying to succeed in the same objective they will constantly clash in the lane or in the jungles where they battle camps and bosses to gain team boosts. As well as having unique skills players can further customize a character's skills with different unlockable runes that will augment the ability in some way and change how the player uses it; as players level up they will unlock new Runes to give more options to better create a character that suits their playstyle. Items and gear can be acquired from different sources, such as completing PVE missions, allowing players to wear such items that in turn augment their stats (power, attack, defense, etc.) as well as giving the character more options in combat. The game has been designed for mobile touchscreen devices and so the layout is intuitive for mobile users; to the left of the screen is a joystick to move the character around in full 360 degrees, which allows character movement but also to choose the direction they face in when launching different attacks. Attacks and abilities are triggered from buttons to the right of the screen and are accessible with a simple button push, which then shows the ability on cooldown until it is ready to use again. There are five solo player missions available in the Campaign mode, story driven instances that are unlike the lane based PVP matches, instead being more like an RPG dungeon area where players move around and fight different creatures and level bosses. Various quests can be completed in the missions to gain a better star rating and improved rewards, such as various items to be used by characters and game currency.